In music software, you have things that are modular, and things that aren’t. Modular environments like Reaktor and Max/MSP let you build things from scratch with essentially unlimited flexibility. DAWs tend to lock you into fairly rigid options for how you combine different instruments, effects, and other tools. Well, Reason sits somewhere in between. Every virtual synth, effect, and signal tool can be patched into another in a single, integrated environment – even as it still remains a production tool with a timeline and mixer (or mixers). In a great example of why that’s cool, hard-core Reason expert Marco Raaphorst shares his latest creation, a powerful set of amp and effect tools. It’s called Rockmen. 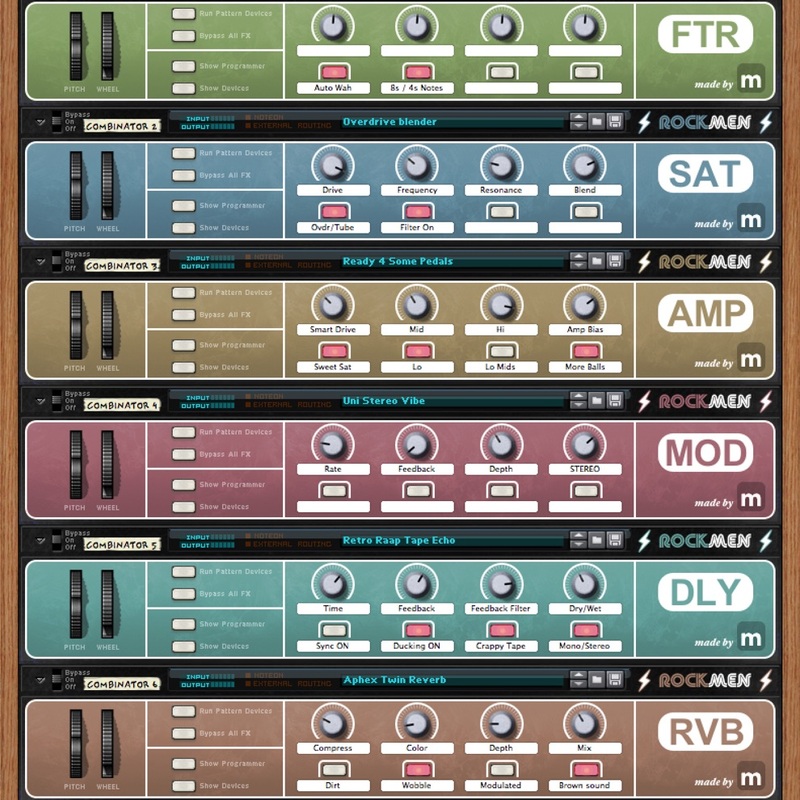 Delivered as a ReFill, Rockmen includes nine guitar amp simulation presets, plus 71 additional tools for modulation, saturation, delay, and the like. But inside the custom AMP Combinator device that acts as bedrock of this ReFill, everything is just built-in Reason devices. It’s the EQ/filter, compression, and saturation you know. But Marco spent over a year combining those into something that sounds like his favorite tube amp. That might seem like something stale or removed from amps, but it’s quite the opposite – even without a single impulse response, you get a warm, realistic amp sound. Marco tells us he was inspired by the 1982 Rockman device, designed by Tom Sholz. Starting with that as a spark, Marco has built a new, dynamic animal. What I enjoy about this is, for $15 you get a whole set of signal processing tools – and one you can take apart to appreciate Reason devices you might take for granted, in a whole new light. Patching devices in hardware remains a great joy. But Reason and people like Marco also remind us just how much we can have fun in the box. Marco also makes some really lovely music and frequently shares that work with Creative Commons licenses. Oh, by the way, if you want to expand Reason more, there’s also the option of Propellerhead’s “Rigs” bundles … which let you stock up on a bunch of devices at a vastly discounted price. Curious if any of you are using these.